Thanks to Doug I actually made it out of the house today. Boy, have I become a home-body. 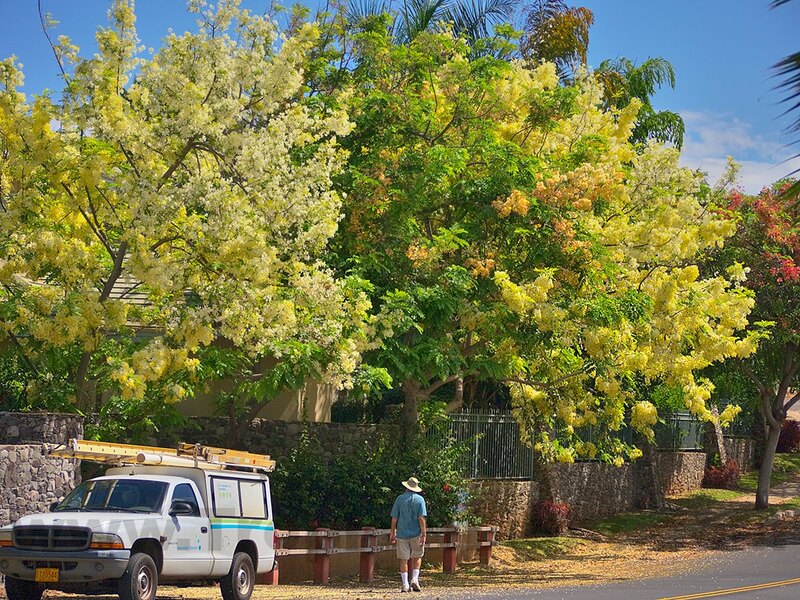 These (above) are a few of our Shower Trees which will continue blooming like this all summer. 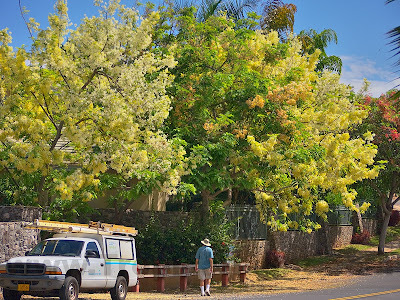 I thought you might like to see the size of a typical Shower Tree. Note the ground carpeted with fallen blossoms.